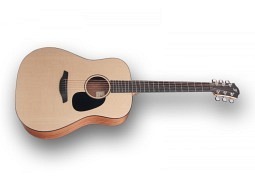 High-quality acoustic guitar with soundboard from select solid Sitka spruce. Proprietary design features and production technologies, including soundboard voicing and the revolutionary Furch CNR System® neck joint. Refined appearance featuring black body binding, a pickguard, and a rosette with concentric rings. Violet Series guitars take full advantage of the tonal potential of a solid Sitka spruce soundboard and layered mahogany back and sides. The back is pressed into an arch thanks to which no reinforcing braces are necessary. 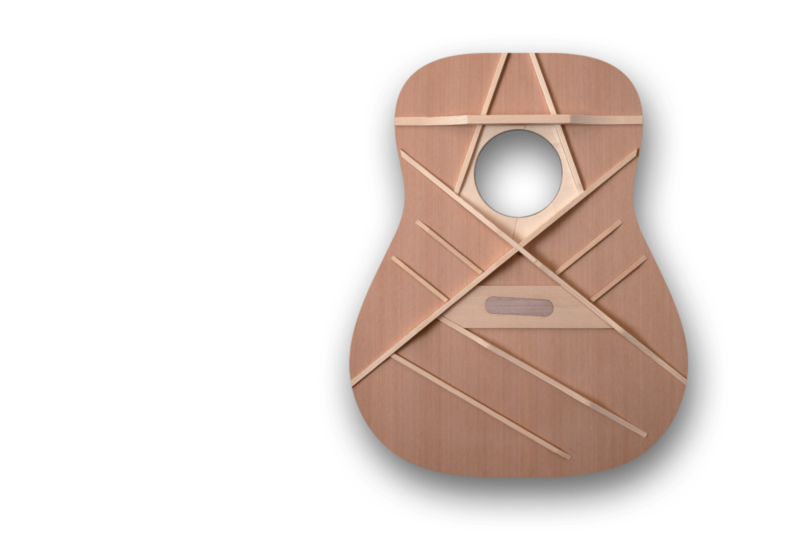 This design has a positive effect on the guitar's resonance and translates into a strong, loud, dynamic, and balanced sound. The premium nature of Furch Violet SY guitars is underscored by the fact that the soundboard is tuned using the voicing process, which enhances the guitar's tonal properties to the highest level. Thanks to that, Furch Violet SY guitars have a crystalline clear, harmonically rich, balanced, and highly dynamic sound across the entire tonal spectrum. 1 A fully adjustable dual-action truss rod for highly precise adjustment of the neck bow in both the convex and concave directions. 2 A highly rigid carbon casing that maintains the neck in the set position over a period much longer than is the case with standard neck joint designs and, at the same time, facilitates a gradual bow in the neck, a factor of essential importance for playability. 3 A casting made of special alloy located inside the neck heel that ensures a stable position of the neck and its angle vis-à-vis the body.